Receiving a few job application rejections is normal. No job seeker is a perfect match for every position and company culture. But after enough “thanks, but no thanks” emails, it might begin to seem like you can’t get a job anywhere. This can feel discouraging when you need a job, but it’s important not to lose focus. You may be making one of these common mistakes, but don’t worry—they’re easy to fix! 1. You Only Use the Biggest Online Job Boards. Maybe it was a commercial or a friend, but someone told you the big job sites were the place to go to find jobs online. What you might not realize is how much work it takes to sort out all the job ads that don’t match your history, skills, or even your job title. While the bulky boards can have their uses, overlooking more tailored sites is a common job search mistake. Industry-focused niche boards will be more familiar with your needs, and are more likely to present you with openings that are a better fit. 2. You’re Overqualified (and You Know It). Being overqualified doesn’t mean you can’t get a job, but cramming tons of unrelated experience and skills into a single resume might. Recruiters and hiring managers don’t have time to read lengthy work histories or lists of core competencies. Only include details that are relevant to the opportunity you are currently applying to. 3. Missing Keywords Are Holding You Back. Frequently when you apply for jobs online, an Applicant Tracking System (ATS) reviews the submission first and automatically sends a job application rejection if it believes you are unqualified for the position. Unfortunately the bots aren’t perfect, so without the right key terms you might slip through the cracks. If you suspect your job rejections are being generated automatically, use iScore to figure out what you’re missing. Also, don’t forget to leverage your unpaid experience to cover any keyword gaps in your work history. 4. You Don’t Do Your Research. Nothing says “disinterested” quite like a job seeker who knows nothing about their potential future employer. Researching organizations during the job search is a good way to learn their company values. Then, you can tweak your application to show why you’re a great match based on those values. Is the company struggling to meet certain goals? Explain how you could help them succeed. Showing interest in the business will help you stand out from the crowd! Proofreading is always worth your time when job hunting. Give yourself a refresher on good proofreading techniques, then read through all of your job search materials a couple times. Don’t just look for spelling errors, either; keep an eye out for larger issues as well, like too much personal or confidential information. An overly complicated resume with too many problems could be enough for recruiters to send a job rejection your way. 6. Following up Is Too Much Work. According to iHire Resume Writing Supervisor Natalie Winzer, following up on applications is a critical step in landing a job. It not only shows that you are interested in the position, but also demonstrates that you are proactive and motivated. It’s a good idea to contact the HR department a week after submitting your application to check that they have all of your materials. Not sure what to say? Don’t worry: we’ve got you covered whether you need a call script or an email/letter template. 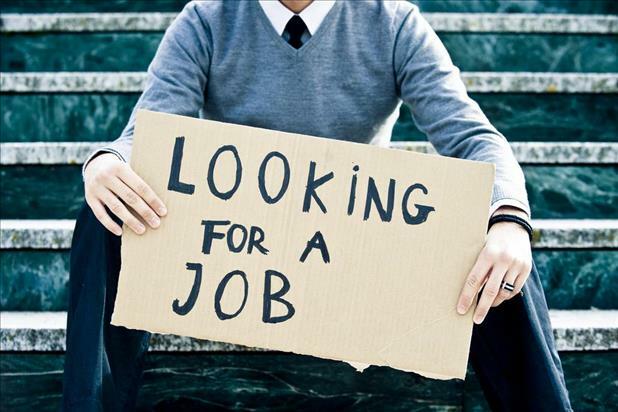 Searching for jobs online can be complicated and, at times, frustrating. It’s easy to feel overwhelmed when you need a job. To be competitive in today’s market, however, it’s important to review your potential obstacles and make a strategy to overcome them. Use the tips above as well as our other career advice resources to land your next great job!